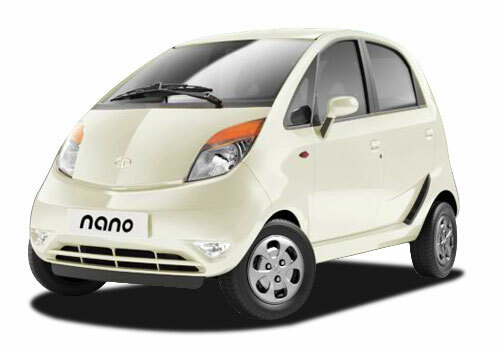 Tata Nano, the world smallest car ever has won hearts of people this much that everyone want to enjoy the ride of this car, now the hot news is that even the police want to make this tinny car as their transport vehicle. Well it might seem quite unusual, but the fact is that one of the diehard fan of car captured a picture to show that the countries smallest car has become very hot. It seems that launched in year 2009, the Tata Nano has reached to every corner of the country and even the police stations can’t be untouched with this car. Synonymous to two wheel transport system in India, the small car from Tata’s stable has won the heart of Thane police and police put the car to brand as police car. This shows that with this small car, the auto group is going to acquire many advantages. Well even frugality of the car did not stand by for the police, as the 2012 Tata Nano has all the more promising fuel mileage of 25 kmpl. Added to it the auto group is all prepared to launch CNG model of this small car which was showcased at recently held Auto Expo. Besides this now it seems that the Tata NANO diesel I going to be a reality. Further the company is also planning to export a bundle of compact car to other parts of the globe. Thought the small car ahs already taken a entry in neighboring countries like Sri lanka and Nepal, and next number is coming for Bangladesh. Where 200 units of Tata Nano will be shipped off to the eastern neighboring country, on other hand the export plans for Bangladesh are just finalized. The auto group hopes to sell around 2000 units in Bangladesh with the help of their local distributor Nitol Group. Although the Tata Nano price in Bangladesh will be tagged at Rs 4.08 lakh or can say 650k Taka in local currency, yet the Tata India expects to sell the car in huge numbers.